Danbrit Shipping’s very own Leigh Smith recently took part in a northern powerhouse offshore wind trade mission to the USA led by Team Humber Marine Alliance, in partnership with UK Trade & Investment. The mission met Deepwater Wind, the US developer of the Block Island wind farm, and Dong Energy. They also attened the USA Offshore Wind Leadership Conference in Boston, which highlighted opportunities in offshore wind states. Meetings were held with supply chain companies, and Leigh also attended a networking event at the British Embassy in Washington. 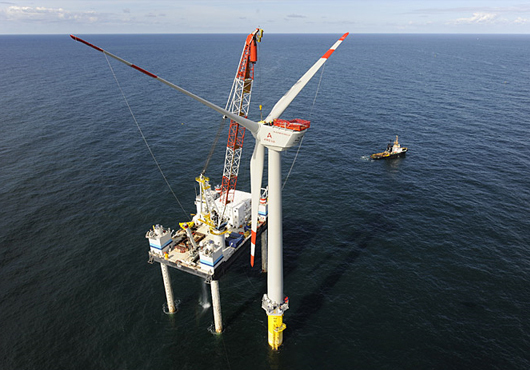 “This mission gives an outstanding business development opportunity for local companies who are considering, or already in, the burgeoning US offshore wind power market. As a business development organisation we have been keenly aware of the need to amplify the business expertise on the Humber into export markets – and getting into the US market at this development stage could, hopefully, reap very real and long lasting rewards.” Team Humber Marine Alliance Chief Executive Officer Mark O’Reilly.